The Club’s Development Office is looking for energetic, young professionals ages 20-45 within the Santa Cruz Community who are eager to give back by dedicating time and resources to the Boys & Girls Clubs of Santa Cruz County (BGCSCC). A preliminary meeting will take place Wednesday, Januarys 18th 5:30-6:30pm at East Cliff Brewing Company (21517 E Cliff Dr, Santa Cruz, CA 95062). Boys & Girls Clubs of Santa Cruz County is launching CLUB BLUE – a program that embodies the passion and interests of local young business professionals by providing a fun and engaging forum for discussion, networking, and representation to make a lasting, positive impact in children’s lives and in our community. “Kids Nite Out”- a fun-filled, themed event at our Clubhouses where kids are paired with adult volunteers an evening “buddy” events filled with fun and games. Mixer/Fundraiser at a brewery or local hub that can include silent auction, networking incentives, etc. 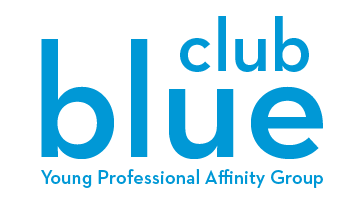 Attending Club Blue meetings (monthly or bi-monthly) for at least one hour to determine goals, visions, and fundraising commitments. Club Blue members would be considered “ambassadors” of Boys & Girls Clubs of Santa Cruz County, committing to opening dialogue with community members about the Club and the importance of supporting children and teens. Members could elect to commit to a pre-planned number of volunteer hours at BGCSCC per year. What would being a member of Club Blue mean to you? What external and internal goals would Club Blue have? For more information contact Alexandra at 831-423-3138 ext. 26 or alexandra@boysandgirlsclub.info.